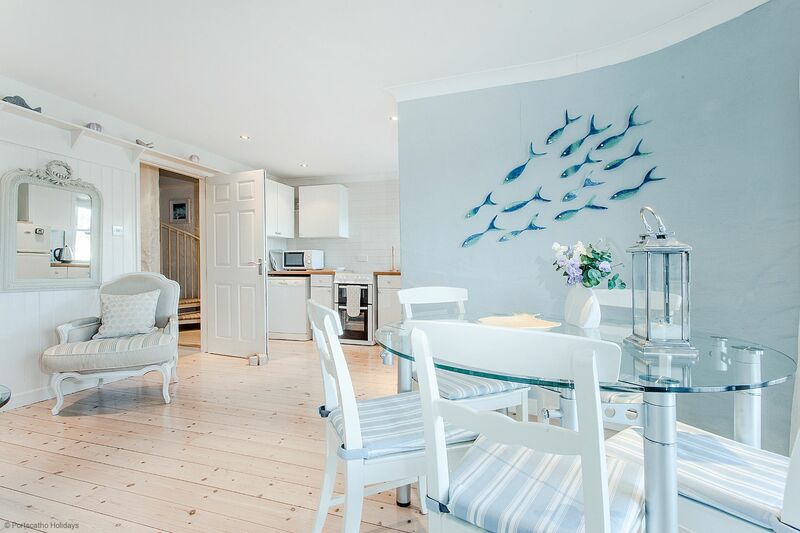 Fantastically situated in the centre of St Mawes, Castle Cottage could not be closer to all the village facilities and has lovely water views of the harbour and the Percuil River. 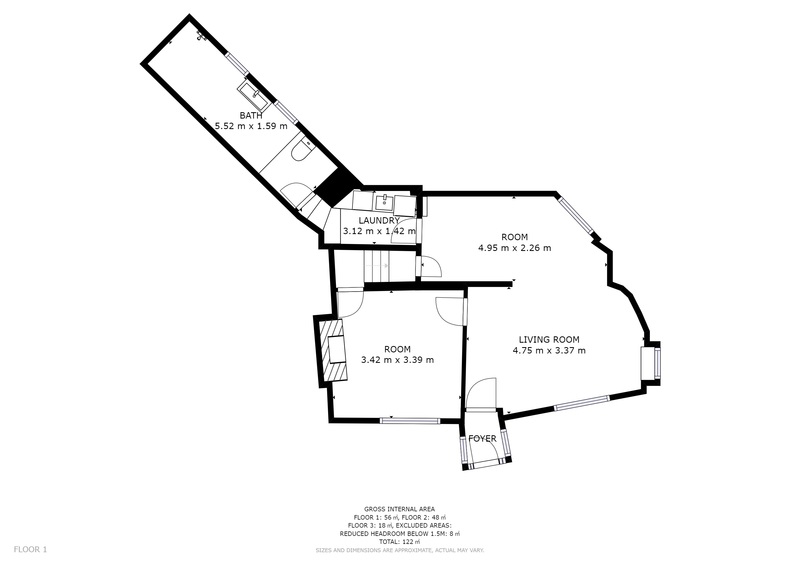 The porch leads into a large entrance room off which are the utility area with washing machine and dryer, the large wet room with shower, WC and hash hand basin, and a small snug. Stairs access the first floor with the living area, main bedroom and family bathroom. 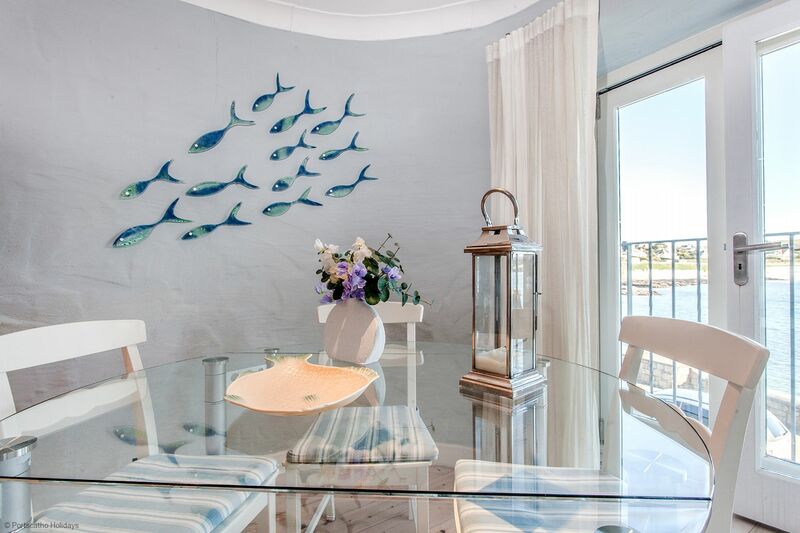 The lounge/dining area has lovely water views of the harbour, through Summers Beach to Place, and folding French doors to the Juliet balcony make this area feel even more spacious. 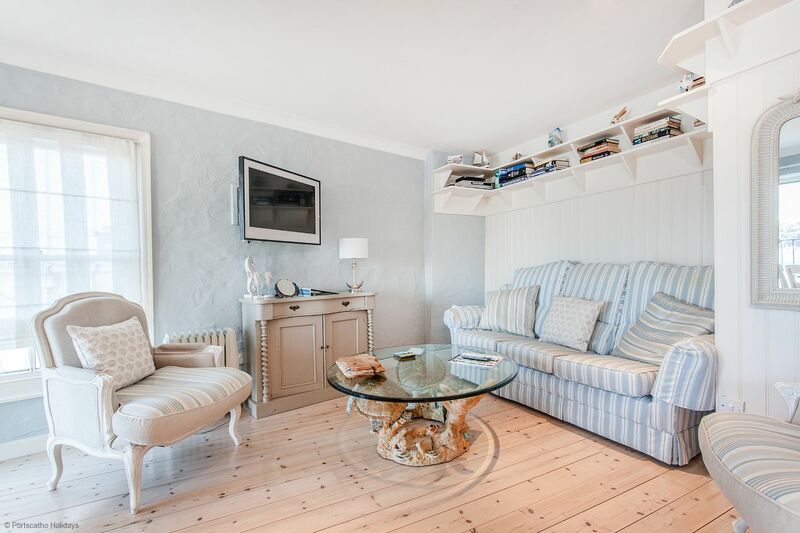 Sky TV and DVD together with good quality furniture compliment this well furnished and presented holiday home. 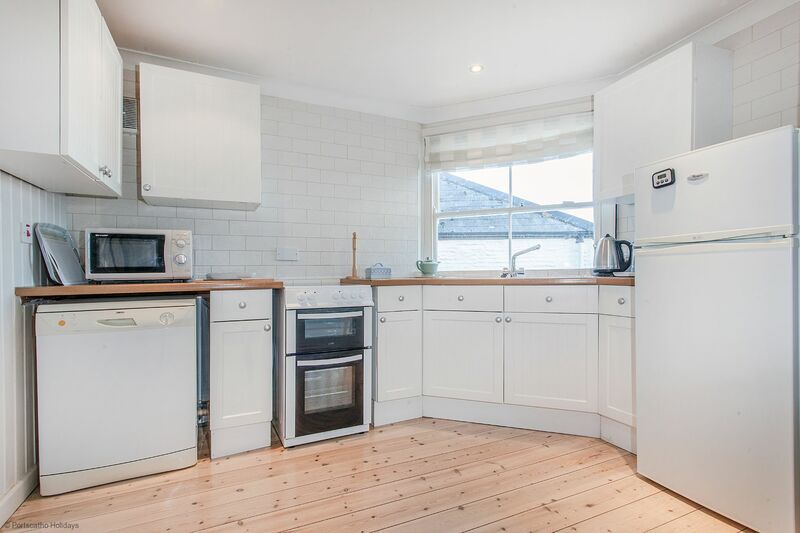 The kitchen is well equipped with double electric oven, ceramic hob, dishwasher, microwave and fridge freezer, and has further water views. 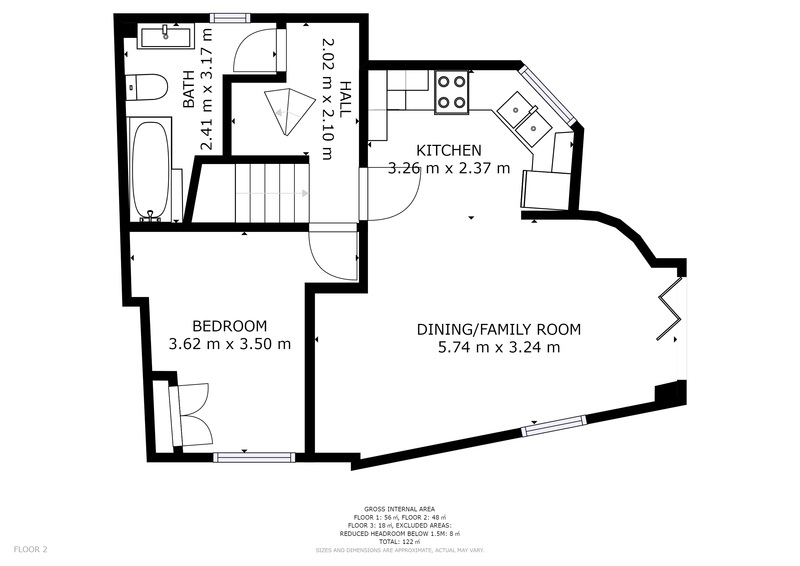 The main bedroom is tastefully furnished and the family bathroom with over bath shower, WC and wash hand basin are also on this floor. 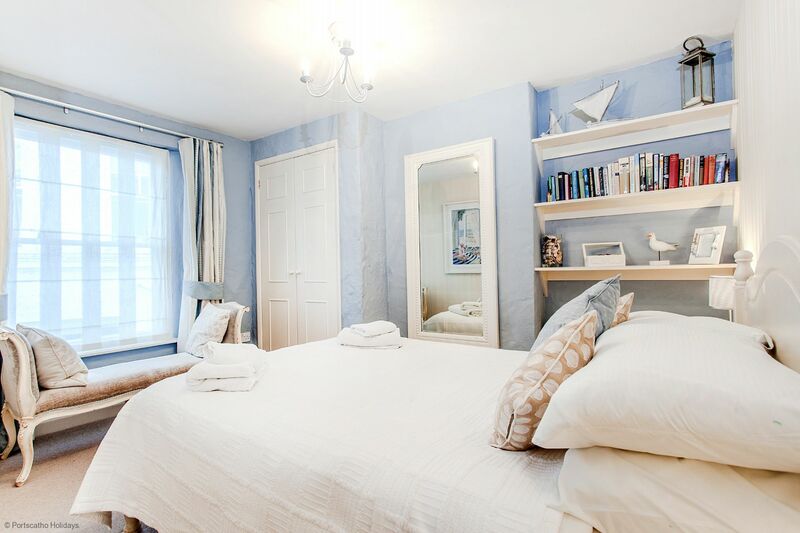 The second floor has a twin bedroom with yet more lovely elevated water and harbour views. 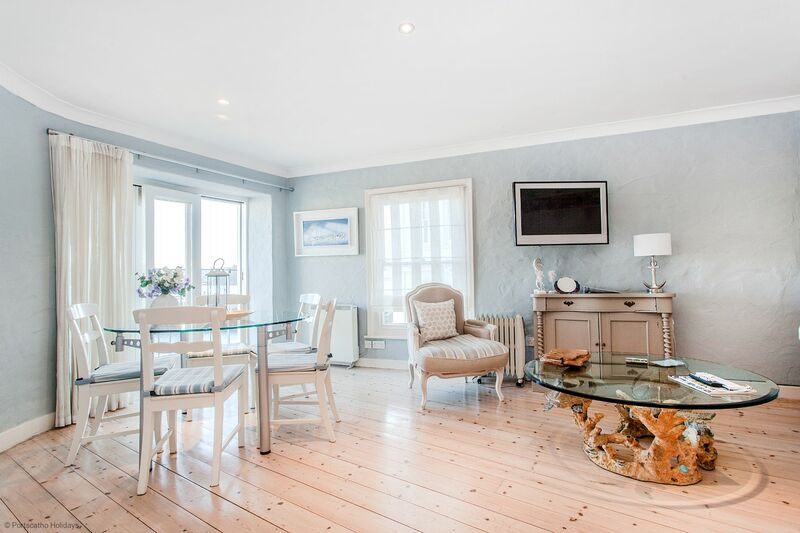 The property is very nicely furnished throughout, and is heated by night storage heaters. Parking in the main car park is a minutes' walk away. 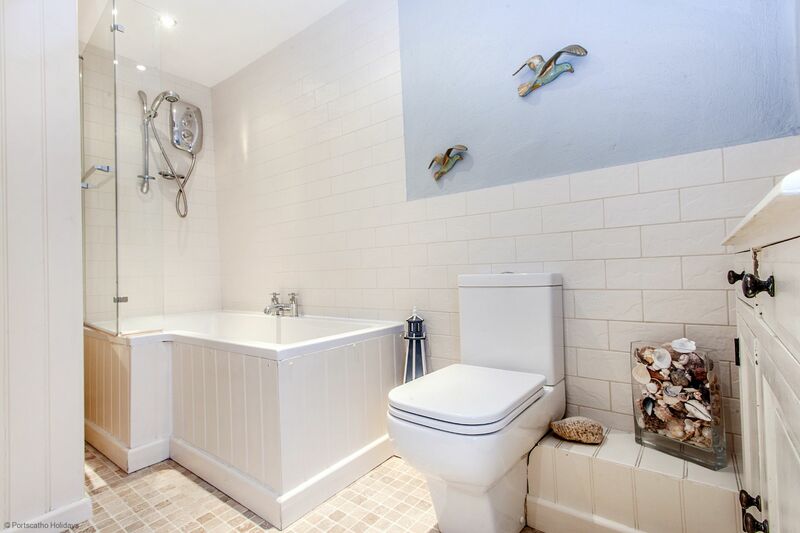 Castle Cottage - 174932 Holiday Cottage in the heart of St Mawes with direct harbour & river views, family friendly for a perfect Cornish holiday. 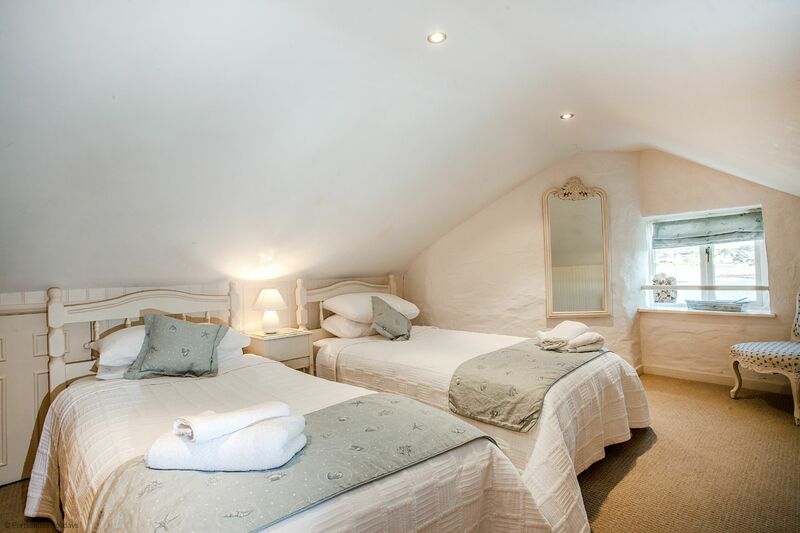 "We really loved staying in Castle Cottage. 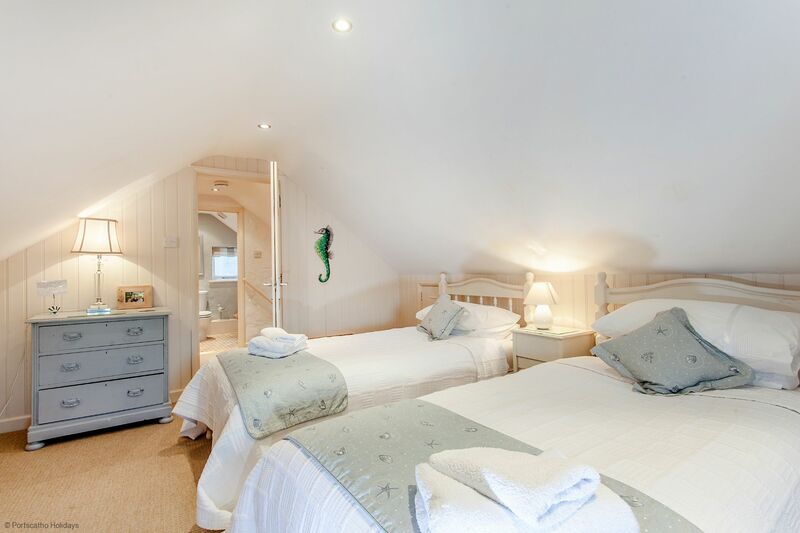 The beds are very comfy and lovely bathrooms . The living kitchen area has been done really well and a pleasure to sit in over looking the harbour . We would definately stay again. It can be a bit noisy late at night and first thing for deliveries but we do keep windows open so closing them does help. It wouldn't stop us staying in this lovely well kept home again "
"Our 3rd stay, but this time for 3 weeks. The location is fabulous and made use of the balcony, with morning coffee and evening drinks. 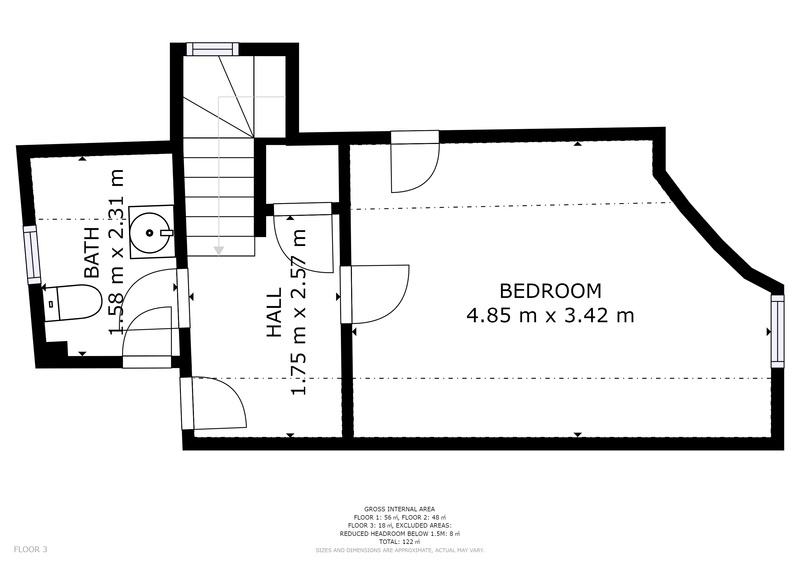 Set up over 3 floors, works well for us"
"The house is very comfortable and in a great location. Only slight negative is that the decor and some of the furniture could do with a bit of TLC. 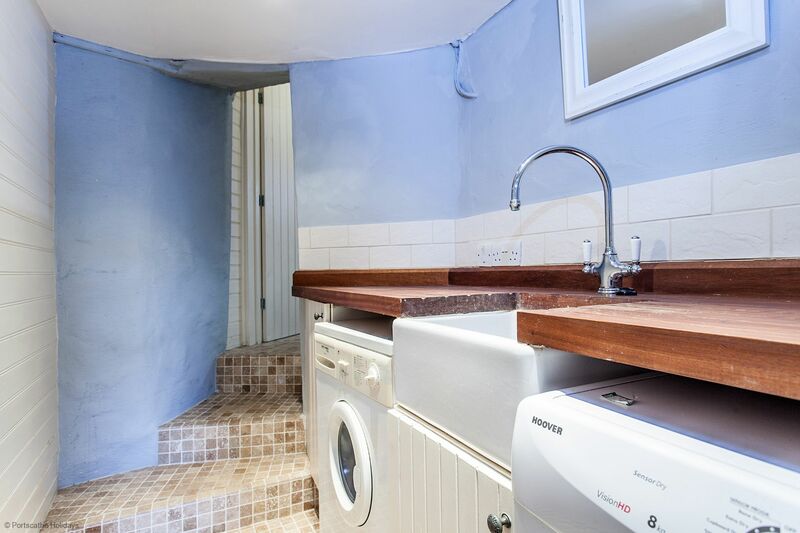 There was also a damp smell on the ground floor which is why there is a de-humidifier I guess." 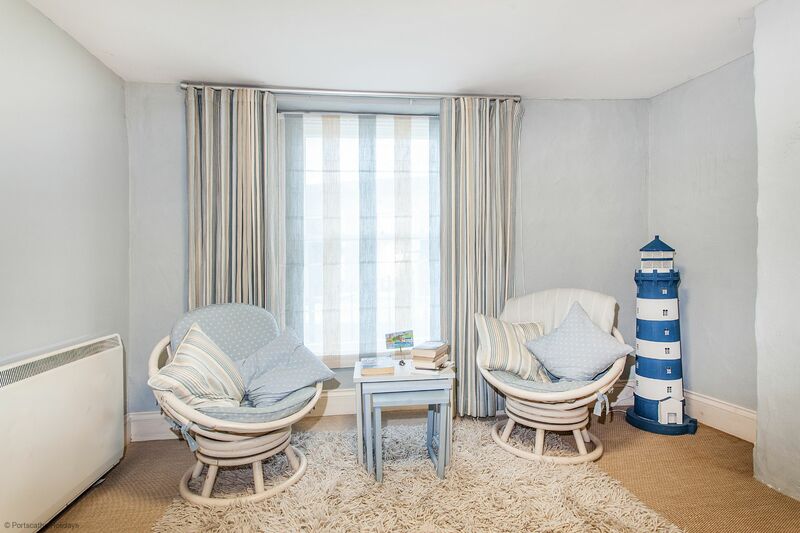 A wonderday stay in St Mawes! 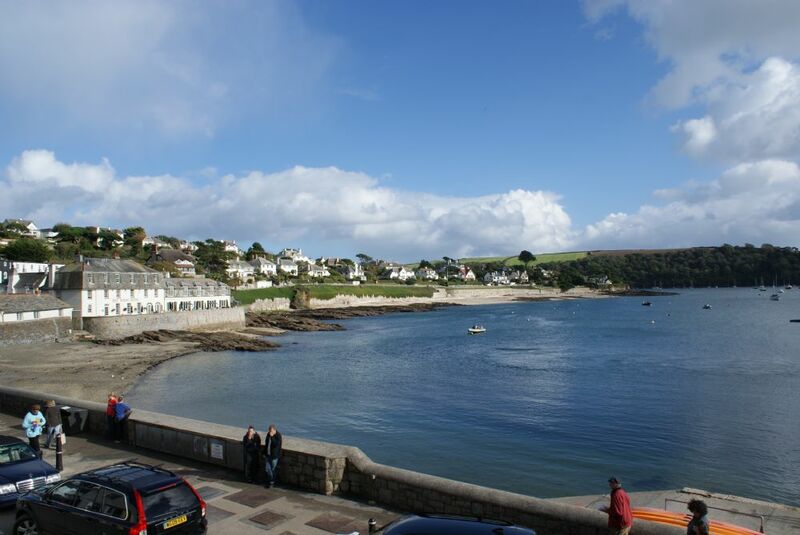 "We have just returned from a wonderful week in St Mawes. This was our first time staying in Castle Cottage due to our regular cottage being withdrawn from the rental market. 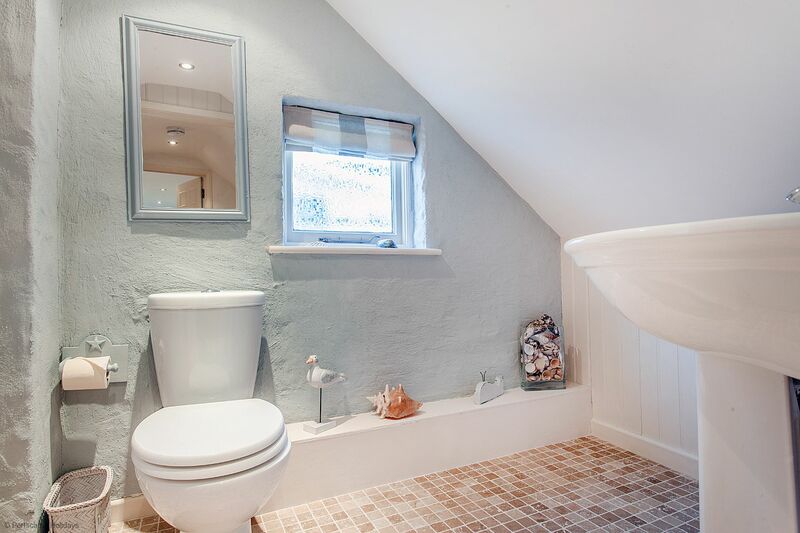 We were absolutely delighted with the location of this beautiful cottage. 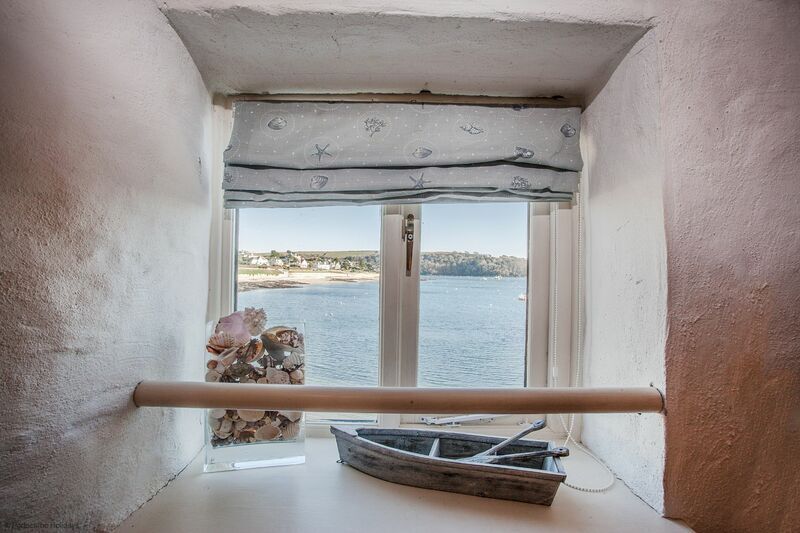 The views overlooking the harbour are wonderful - you feel you are right in the heart of the village. The standard of the decoration is lovely and the lovely lounge had a very welcoming feel to it. We hope to return for many years to come! " 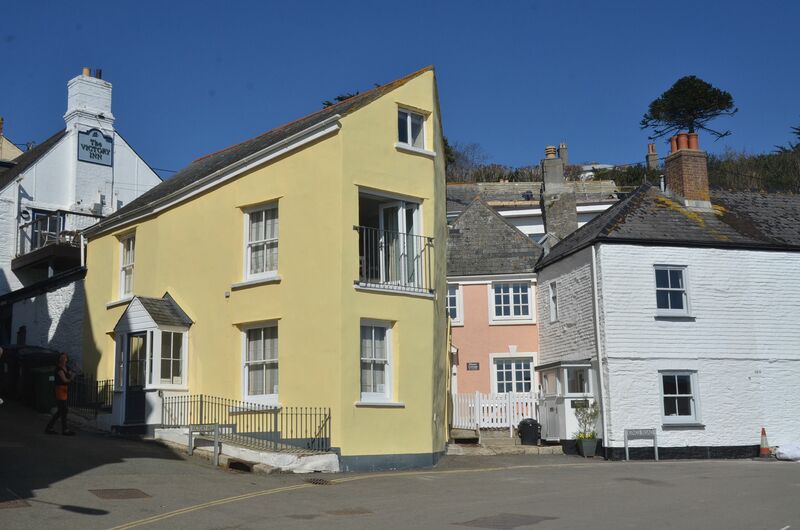 "Very comfortable property in stunning location right on the harbour. You can watch the world go by from the first floor with the doors open or closed. 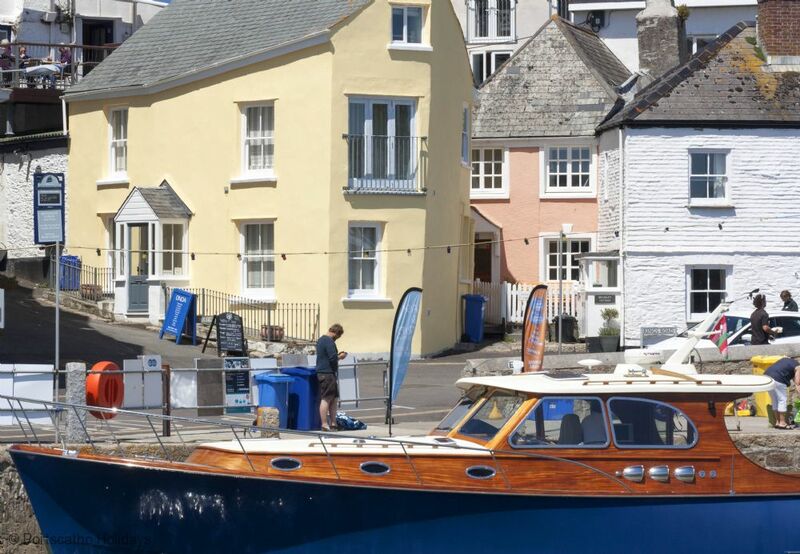 Perfect spot for catching the ferry to Falmouth or popping to the Victory Inn for a delicious dinner. " 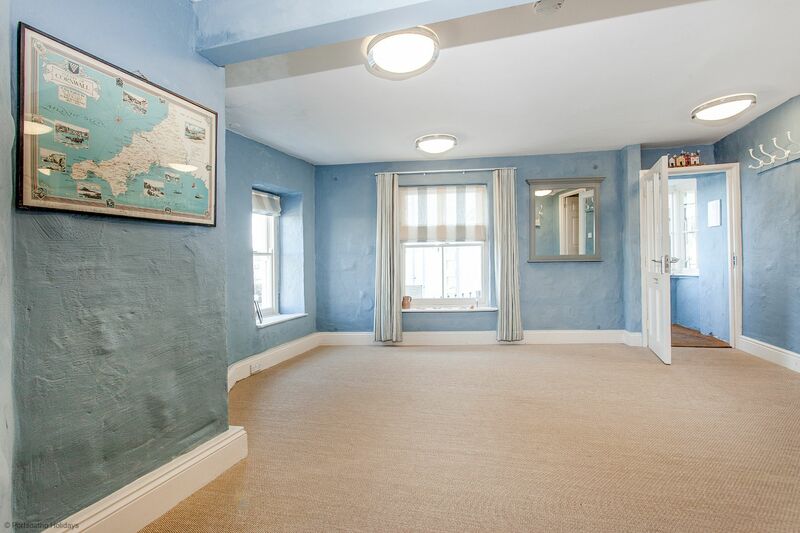 I am pleased that you enjoyed your stay in St Mawes. 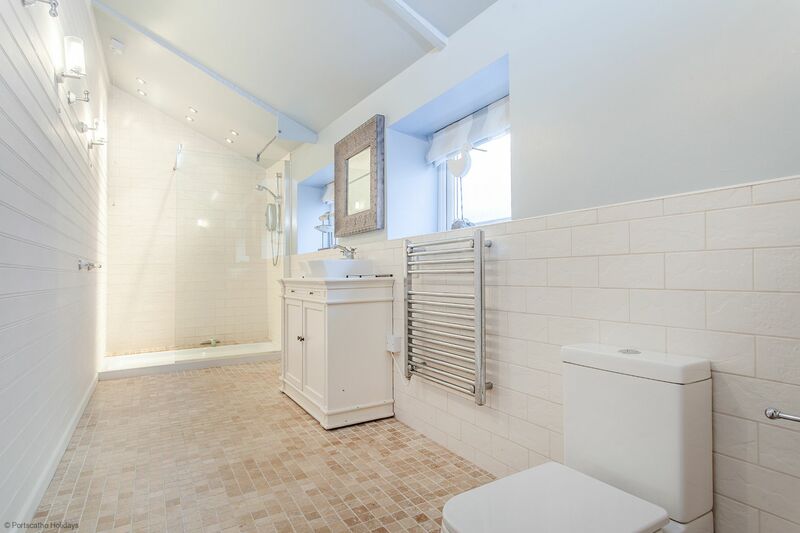 Castle Cottage is well placed to enjoy the village and surrounding areas.